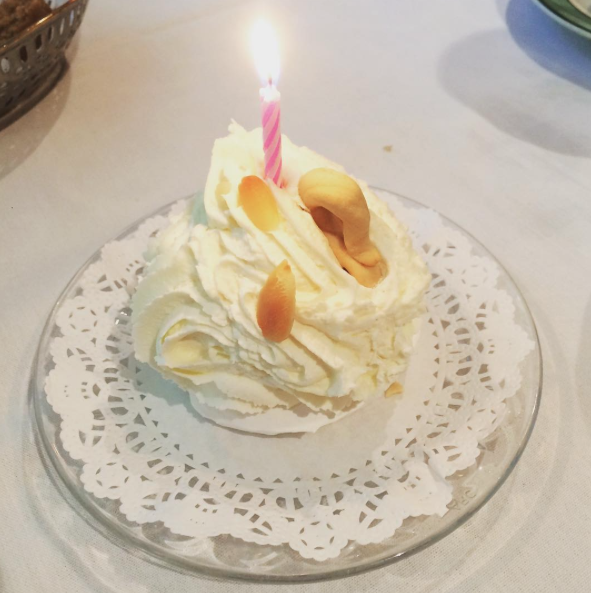 The Spinsterhood Diaries: I'm 31 Today! Well, the day has come. It is my birthday, and I am thirty-one years old. I suppose I'm well out of the range where I could claim to be a child. Now when they card me at the movies, they're just being nice. It's ok, though, because so far my 30s are turning out to be much more laid back than my 20s. The photo you see above is from my trip to the Swan Coach House with my mom yesterday. I had some chicken salad and some amazing frozen fruit salad, the above was my decadent dessert. It had a meringue cookie base, a chocolate mousse filling, home made whipped topping, almond slivers, and a pastry swan. It was divine. This morning we went to have blowouts, and that was, of course, luxurious. So, thus far, this has been an excellent birthday. Now, I will share the song that's always in my head on my birthday and anyone else's. Please enjoy "Happy Birthday, Donald Duck." Happy Friday to you and Happy Birthday to me!